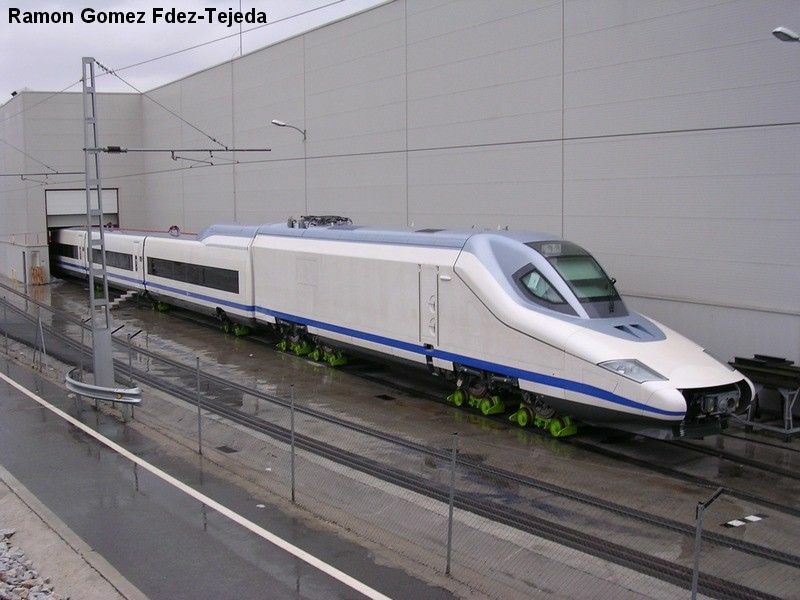 AVE-102 001 set seen at the Talgo workshops in Las Matas, shortly after its delivery by Talgo-Bombardier to RENFE-AVE. 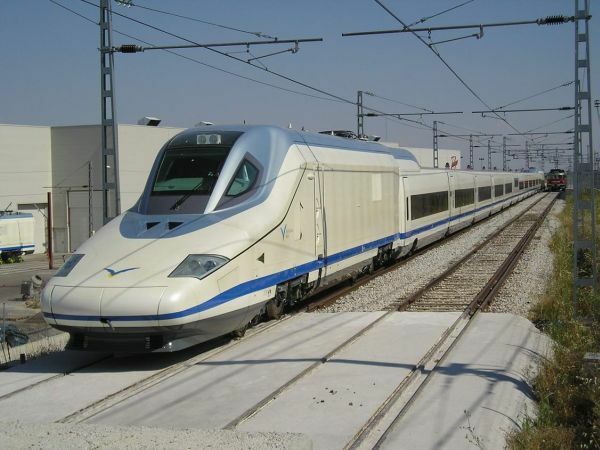 Logos and brands are still missing, together with the underfloor streamlining on the Power car. Photo by Ramon Gomez Fernandez-Tejeda (ramgomez@telefonica.net) (Acknowledgments), from Tranvia.org. Articulation between 2 Trailers of AVE-102 001 set. One can notice the sophisticated streamlining underfloor and around the articulation. Photo by Mario Rodriguez (luzero@wanadoo.es) (Acknowledgments), from Tranvia.org. 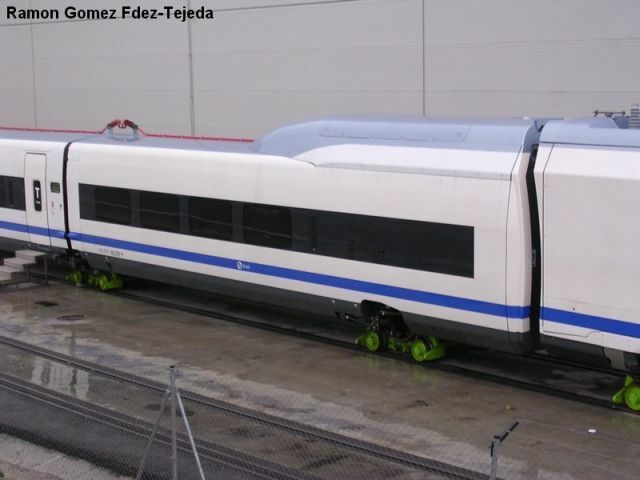 AVE-102 002 set seen at the Talgo workshops in Las Matas, upon delivery by Talgo-Bombardier to RENFE-AVE. Logos and brands are still missing. One can notice that this set is mounted on Vevey diplories so as to run on broad-gauge tracks. 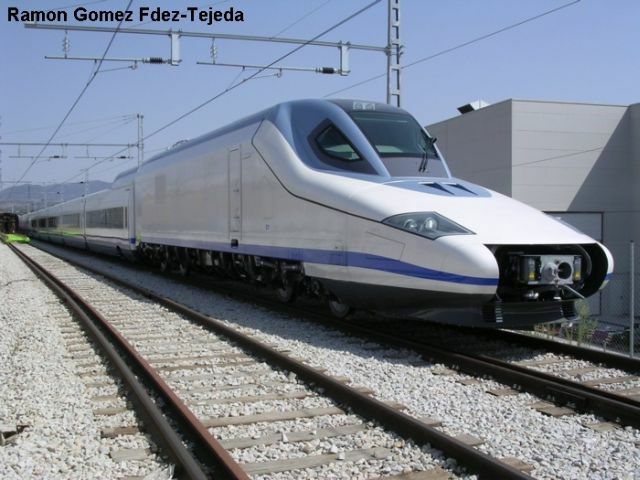 One can notice the transitional hump between the on top of the end-car, quite reminiscent of single deck TGVs. One can also see that this set is mounted on Vevey diplories so as to run on broad-gauge tracks. 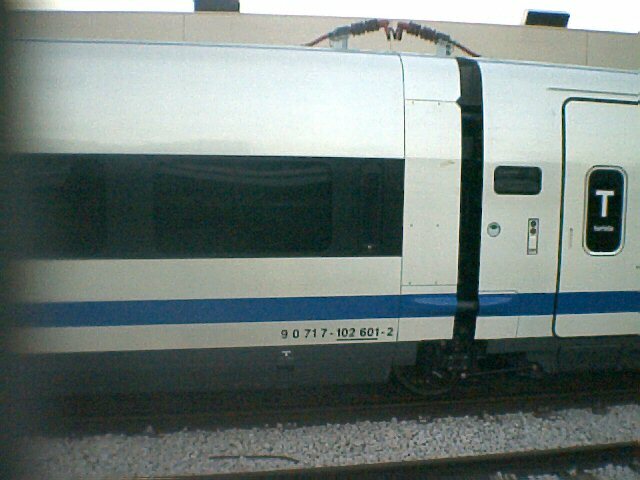 AVE-102 set, newly-delivered, seen at the Talgo Workshops in Las Matas. This set is no longer mounted on Vevey Diplories, and is thus on a dual-gauge track. One can spot a Class 353 on the right-hand track, further away. Las Matas. 27th June 2004. 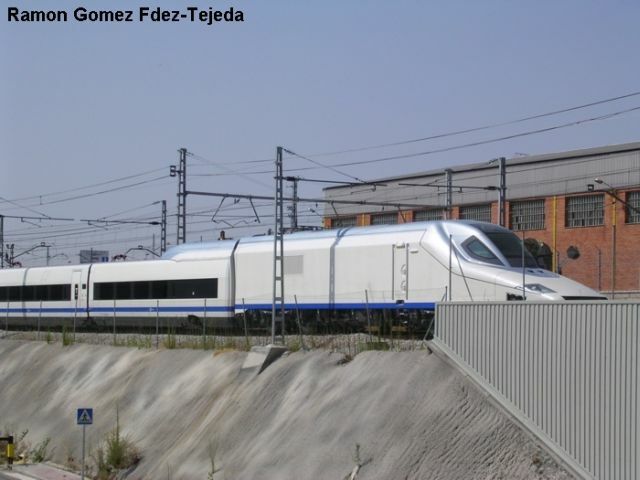 Photo by Javier Lopez (javierlopez@tranvia.org) (Ackowledgements).